Life in 27 has moved to djuanTRENT.com! 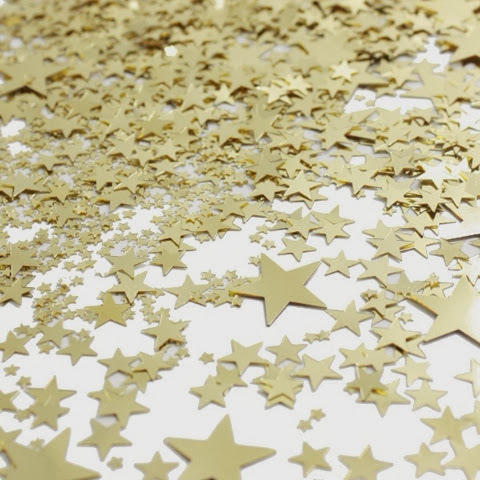 : Gold Stars for Everyone! I have received many posts, messages, tweets, texts, and phone calls from friends and strangers alike, thanking me for my bravery and offering mounds of support. My heart is warmed from the overwhelmingly positive and encouraging words. In responding to the feedback I have received, I have often struggled with whether or not "thank you" is the appropriate wording for what I wish to convey. While I am very thankful for the love and support, I also stand very aware that I could have never made the decision to share this on my own. Family: You love me, and I could not ask for more. I know you are always there for me and I count myself fortunate as I know there are many in my shoes who cannot say the same. Friends: Thank you to those of you who have stood by me, but never pushed me. There are times that you need your friends to push you, but out of the closet is not one of those times. Patience, support and understanding-thank you for all of that. YouTube: Man...who knew what a resource this thing could be??? You don't see many LGBTQ folks/characters on mainstream television...no worries, there's an app for that. Thanks, YouTube! Internet/Search Engines: Not sure how to come out? Want to find MORE stuff on YouTube? Want to know more about the LGBTQ community? Well...you better have hours of time available and be ready to have your mind blown. Yep. Thank you, Internet. You have consumed much of my spare time and I'm not even mad about it. The L-Word: You made me feel like I should move to LA. In fact, I tried, but as you can see, I'm still living it up in good ole' Kentucky. I believe I may have some work to do here, but thank you for providing me with the 47 minute getaways- I needed those. Ellen Page's Coming Out Speech: Ellen Page shared the burden that she carried in watching those around her be strong and stand up and fight for change, but not doing that for herself sooner. Listening to her speech, I was able to relate on so many levels. But this is what really hit me: "I am tired of lying by omission..." Girl, what?! For real! Lying by omission and using non-descript pronouns...that gets really old, really quick. The LGBTQ Community: Thank YOU. I have heard people say things like, "it seems like everyone is gay now". It's not that everyone is gay now... We've been gay. We've been here. We're just speaking up now. What I am doing, is nothing new. I am only ONE of many. We walk the line of being the one who runs up and down the street, waving the rainbow flag, and being the one who lives our life as we always have because our sexuality does not change who we are. No matter if you walk the line or choose a side, thank you. My Berea Folks: Two words- YOU ROCK. My Pageantland People: To all of my supporters and those of you who spotted me from the jump, you have a very special place in my heart. And, for those who have wondered if we are ready for a gay Miss State or Miss America, let me just say...we better be, because it won't be long! Also...Miss America c/o 2011, one word- AMAZING. Love you ladies! Ellen Page's "I'm tired of lying by omission" really hit home for me too. Her and the other women who have come out recently (and that list now includes you!) fuel my inspiration as I continue to work my way towards the closet door. Thank you. Djuan - I'm a middle-aged straight woman from Mississippi who has been working overseas for the last six years. I am currently serving in a country where it is illegal to be gay. I see a lot of parallels between some of these countries and my home state - and I'm sure yours also, even though Kentucky appears to be more progressive than MS. In any event, I'm very proud of you for doing this. I've worked with LGBT youth on this side of the big pond, and they are some amazing and brave kids. When more high-profile people speak out and come out, it gives them more strength to do the same. Thank you. Djuan, we have never met but you should know that as a fellow "former" I support you whole-heartedly. I applaud your courage on many levels, and hope that you have not only paved the way for other contestants, but brought yourself true happiness and peace. Bravo!